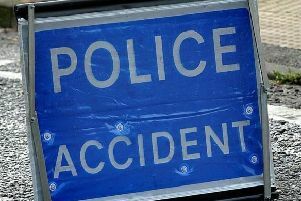 Emergency services were called to the scene of a two-car collision near the Hill Barn traffic lights this morning. Police were called to the junction between the A27 Upper Brighton Road and Steepdown Road, Lancing, at 7.33am today (Wednesday, September 12) to reports of a two car collision. One lane of the road was blocked as police, the ambulance service and the fire service attended. The fire service confirmed two engines and one heavy rescue vehicle attended. One person was extracted from a vehicle and handed over to the ambulance service, the spokesman said, before crews left the scene at 9.38am. The ambulance service confirmed two ambulance crews attended the scene. A man, suffering from back pain, was assessed and treated at the scene before being taken to Worthing Hospital, a spokesman said.